Two injection valves and two selector valves. The staggered configuration minimizes the space required. Universal Valve Drive Module for sample injection, column switiching for online LC-LC-MS or online SPE-LC-MS, multiplexing, column selection and many more. 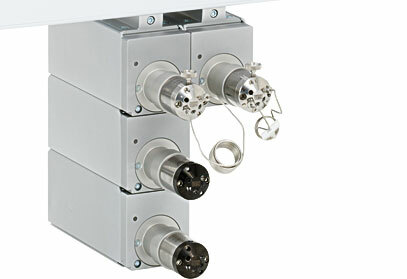 The Valve Drive Module supports VICI/Valco and Rheodyne valve types.